Camille has over a decade of experience in both corporate and nonprofit special event production and fundraising expertise. She has a proven commitment to the nonprofit sector and the community at large. Camille is equipped with strong communications skills and has an excellent record of accomplishment of growth in fundraising outcomes via special events, individual and corporate donor cultivation and private foundations. Her detailed, solutions based and strategic approach to fundraising plan development and execution, along with her passion for managing donor relationships have led to attaining great outcomes throughout her career. To date, Camille has raised over $2M for the non-profit sector. She served two terms on the Association of Fundraising Professionals (AFP) – Colorado Chapter, Board of Directors (2016 – 2017). Additionally, she served as AFP Rocky Mountain Philanthropy Institute 2016 Co-Chair and was the 2017 Chair. In 2017, her one-year term as the Colorado Women's Chamber of Commerce Non-profit Roundtable Co-chair. In her free time, she continues to serve the community at large and spends time exploring nature, indulging in new cuisine and discovering new worldly adventures with her friends and family. Amy Hart is a writer, director and producer dedicated to producing work that inspires positive change. She has produced and directed over 100 broadcast hours and numerous short videos and PSAs on public health issues. The film, WATER FIRST: Reaching the Millennium Development Goals, which she made in Malawi, was her first independent feature documentary. Along with Heidi Rickels, Hart Co-Founded Freshwater Project International as a way to further support the work of Freshwater Malawi and Charles Banda, the central character in her documentary. She’s currently working on a feature film about the benefits of removing GMOs from your diet: Secret Ingredients: Are GMOs and Pesticides Affecting Your Health? Previously, Hart was the founding director of Public Health Productions at the New York Academy of Medicine. Prior to launching PHP she was the director of a series of broadcast programs including Public Health Live! at SUNY Albany School of Public Health. She was also an associate professor at NYU where she taught Public Health Through Film and Fiction. Hart has a wonderful son named Jay and daughter-in-law, Rebecca, who are a tremendous source of joy and inspiration every day. She also has two beautiful God-children in Malawi, Sarah Miriam and Prince Kamanga. She currently lives and works in Berkley, California. Heidi Rickels is a passionate and creative marketing director with more than 20 years professional marketing and communications experience. Rickels received a B.S. in Business Administration from the University of Kansas as well as a M.A. in Global Studies from the Josef Korbel Graduate School of International Studies at the University of Denver. Along with Amy Hart, Rickels Co-Founded Freshwater Project International as a way to further support the work of Freshwater Malawi and her friend, Charles Banda. Formerly, Rickels served as Director of Communications for Project C.U.R.E., an international humanitarian relief organization, and has held several positions in corporate and non-profit marketing throughout her career. Rickels has travelled extensively doing international humanitarian and missions work in Ukraine, India, Guatemala, Hungary, Romania, Poland and Belize. Much of her time is focused on international and community service, including serving on the Vestry and Outreach Committee at her church as well as communications consulting for several non-profits and community causes. She lives in the foothills of Denver, Colorado, with her family. 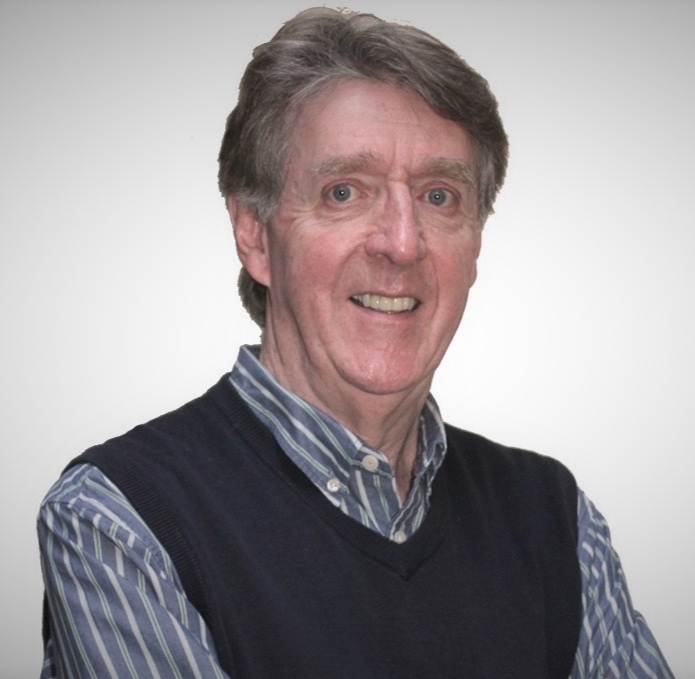 Philip Wolstenholme, a vice president and professional engineer with Brown and Caldwell has a very broad range of theoretical and practical engineering experience gained over the past 38 years. He has also served as an Engineering Service Corps member with Engineers Without Borders in Malawi. Philip specializes in wastewater sludge and biosolids processes, and air emissions and odor control systems for wastewater treatment facilities. He has additional background in energy/cogeneration, environmental, solid waste, and water projects. He is a member of the Water Environment Federation and regularly presents at conferences and seminars around the country. Throughout his career, Philip has been instrumental in the design of more than 100 wastewater processes primarily in the U.S. and Canada. He does considerable work in the field especially in sampling process flows and in performance testing of equipment Philip work has encompassed all stages of environmental engineering including evaluation reports, permit applications, conceptual and final designs, O&M manuals, construction, and field testing for both small and large projects. Philip originally hails from the UK and lives with his wife Lynne in Northern Georgia near the start of the Appalachian trail. 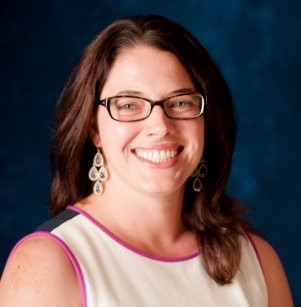 Kate Ashley is the Director of Alumni and Parent Engagement for the Institute for Shipboard Education, which administers the study abroad program Semester at Sea. She has over 10 years professional experience in higher education and non-profit organizations in a variety of marketing, communications, event management and development roles. Kate holds a master's degree in International and Intercultural Communication from the University of Denver and a master's degree in Organizational Leadership and Management from Regis University. She was an inaugural board member and served as the Community Outreach Chair for the Young Professional Board of Project C.U.R.E. in 2011-13. She has always had a passion for international education/development, and it was through Project C.U.R.E. that she met Heidi Rickels and Charles Banda in 2004, as a graduate student intern. Originally from Springfield, Missouri, Kate has lived in Denver, Colorado for the last 15 years and enjoys skiing, traveling, and scuba diving in her free time. Laura Felix is the mother of two children, Paul and Meredith. Along with Jason, her husband, the family attends church at Peace with Christ Lutheran in Aurora, CO. At their church, Laura and Jason lead Working With Hands, a program to put the faith of children into action locally, nationally and internationally. Committed to educating her kids about the world around them, Laura has always taught the children about other cultures with special emphasis placed on praying for them. Inspired by the tugging on her then- 8-year old son’s heart, Laura asked Paul one seemingly simple question, “Can kids change the world?” This question led to the inception of Paul’s water project which raised $6,000 to build a well in South Sudan, a well dedicated to his water hero, Charles Banda. Laura is a speech-language pathologist who specializes in early intervention and working with native, Spanish-speaking families. In her free time, Laura enjoys astronomy, playing violin and participating in various physical fitness pursuits. She is active at her kids’ school and in scouting. She feels that churches, scout groups and schools all have the capacity to make a significant impact on the world around them.